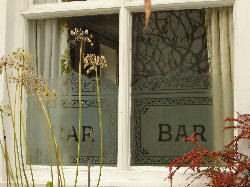 "The Sportsman’s Arms" on Derringstone Hill. In the yard between "The Sportsman’s Arm’s" and the Wesleyan Chapel next to it, were stables and a workshop which George used as a Saddlers shop. Horses were brought there for harnesses and for treatment, as a vet paid regular visits. Beyond was a long garden sloping down from the house with lawns, flowerbeds and a kitchen garden. In April 1902 Charles Hall married Elizabeth Sims and took over running the pub. He bought a cab , which had belonged to Lord Kitchener, and placed it on one of the lawns. 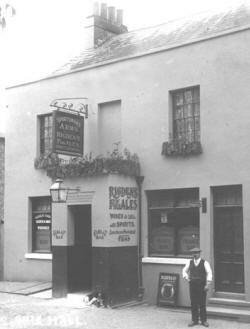 It was a great attraction for the pub visitors along with the Quoits Club, both of which were good for business. 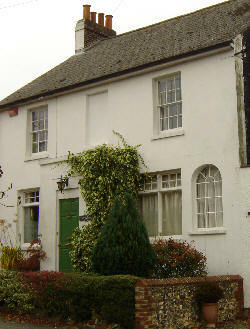 Charles (Chick) Hall was an ex naval man, extrovert and friendly, and a popular landlord.